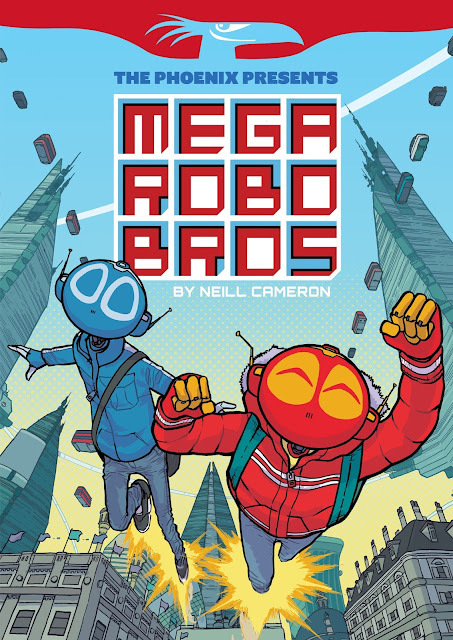 Neill's blog: MO-BOT HIGH out in paperback, TODAY! 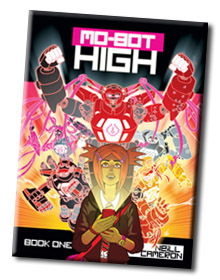 MO-BOT HIGH out in paperback, TODAY! Happy August 1st! And a very happy August 1st it IS, because today that all these lovely DFC Library books come out in shiny exciting new paperback editions! 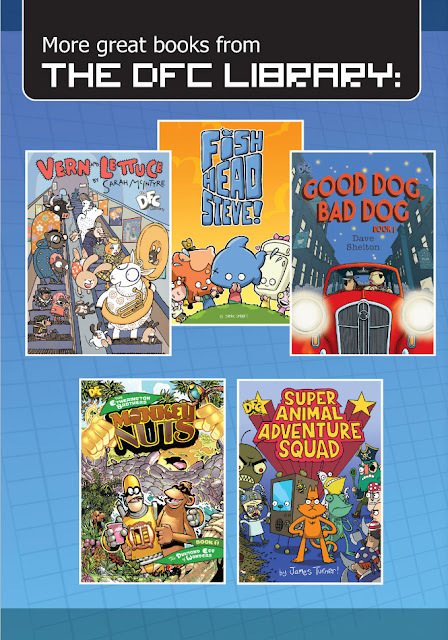 It's a cracking line-up that includes a brand-new, paperback-first collection of Jamie Smart's wonderful Fish-Head Steve, and all these other fine works from amazing creative folks such as Sarah McIntyre, The Etherington Bros, James Turner, not to mention prizewinningly-certified-awesome author Dave Shelton! 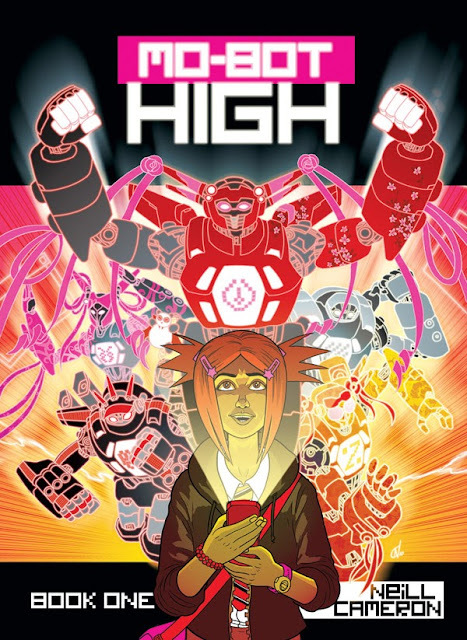 This (beautifully printed and hghly affordable) new edition of Mo-Bot High collects the first story arc from the DFC, telling the story of a young girl named Asha and her first week at a new school where she's barely figured out where the toilets are before becoming embroiled in MIND-BOGGLING GIANT ROBOTIC WARFARE. It's a story very close to my heart; my first 'graphic novel' (or 'big long comic' if you prefer), it's my attempt to do a classic girls' school comic, in the mode of Jinty or Bunty or one of those many lost titles that I have been known to witter on about from time to time; a story about friendship and rivalry and triumph and tragedy, played out in lunch-breaks and the walk home past the bike-sheds after school. But with giant robots. 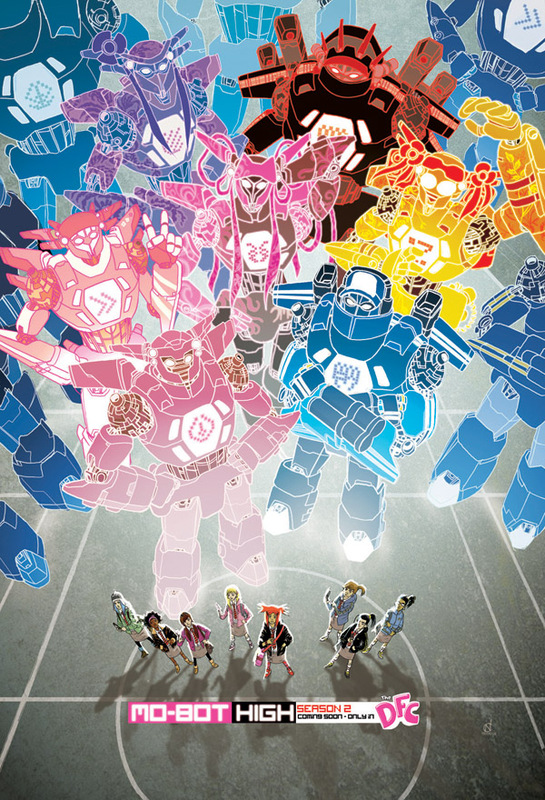 Because, y'know, GIANT ROBOTS. Updated elevator pitch: It's kind of like Pacific Rim, if Jacqueline Wilson was the screenwriter. Anyway, if you've discovered my work in the last couple of years and particularly if you're a fan of Pirates of Pangaea or my other stuff in The Phoenix, I really hope you'll give it a try. Action! Excitement! GIANT ROBOTS! COME ON WHAT MORE DO YOU NEED TO HEAR? GIANT ROBOTS! 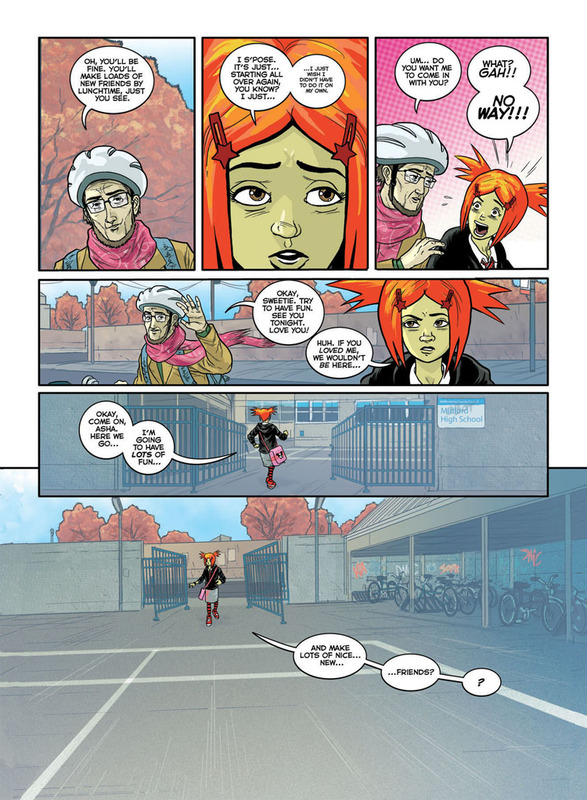 BUT DON'T JUST TAKE MY WORD FOR IT: here are a bunch of reviews telling you that - to sum up - this is an awesome comic and you should totally buy it! 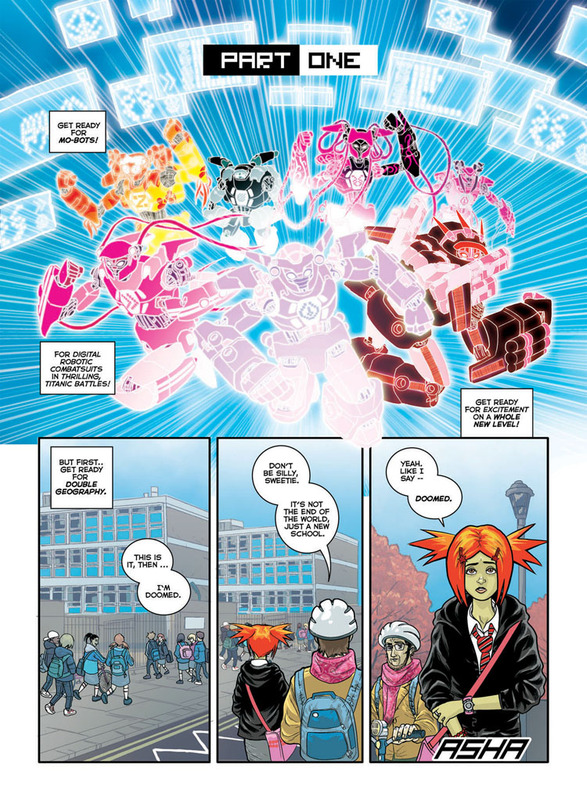 So to sum up: GO GO UK KID'S COMICS YEAH. 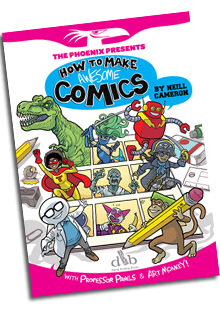 I really hope that these editions can serve as a beachhead for children's comics in bookshops, getting us nearer to the dream of having ACTUAL WHOLE SHELVES OF COMICS in the chilren's section! Imagine it! And in the meantime: collect the set!